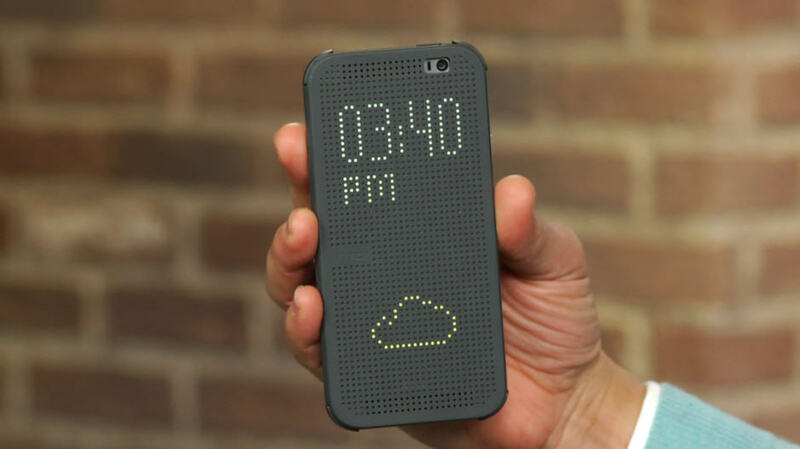 At $50, HTC’s official Dot View case for the One M8 is pretty expensive. Especially when you consider it’s essentially just a regular case with some holes in the front. In fact, all you need is a drill and a steady hand and you can hack together your own for as little as $10. In the video below, Geek.com’s Russell Holly shows us how he turned a $10 flip case he bought on Amazon into his own One M8 Dot View case using only a Dremel and some magnets. Before you click play, bear in mind that Holly’s attempt is pretty quick and dirty, and so the end result isn’t all that pretty. But with a bit of extra time and effort, yours could be much more impressive. While it is ugly, Holly’s hack proves you can turn a cheap flip cover for the HTC One M8 into an unofficial Dot View case pretty easily. And if you put enough time into it, yours could be just as good-looking as HTC’s. There are a couple of things you need to remember before you get started, though. First, those holes on the front of the cover are strategically placed, and if you don’t line them up right, you won’t be able to see the time, weather, and incoming notifications properly. The same goes for the magnets — they need to be in the right place or they won’t work. If you do try this yourself, let us know how you get on.